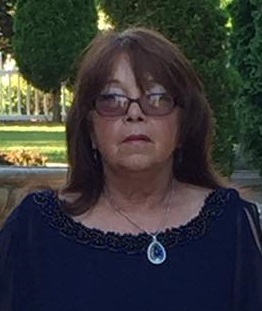 Lorna Anise Post, 63, passed away November 26, 2018. Lorna was born November 22, 1955 to Homer and Clara Lee Hardin. She is survived by her husband William Post; sons Dwayne, Mark and Paul Post; grandchildren Trevor, Emily, Amanda, Jacob, Mason, Tyler and Griffin Post; great grandson Marcus Post; her mother Clara DeLisle; brother Ed Varnell; and her sisters Marquetta Walker, Linda Varnell, Beverly Fox and Tara DeLisle. A Celebration of Lorna’s Life will take place 1-4PM, Saturday, December 8, 2018 at the Roofers Apprenticeship, 5100 E. 59th St., Kansas City, MO 64130. There will also be a Celebration of Lorna's Life from 1-4PM, Saturday, December 15, 2018 at Faith Pentecostal Church-God, 1611 S. Elm St., Paris, Arkansas 72855. In lieu of flowers, please donate to canceractionkc.org in Lorna's name. A Celebration of Lorna’s Life will take place 1-4PM, Saturday, December 8, 2018 at the Roofers Apprenticeship, 5100 E. 59th St., Kansas City, MO 64130. There will also be a Celebration of Lorna’s Life from 1-4PM, Saturday, December 15, 2018 at Faith Pentecostal Church-God, 1611 S. Elm St., Paris, Arkansas 72855. In lieu of flowers, please donate to canceractionkc.org in Lorna’s name. Ennice and I are so sorry for the loss of Lorna. She had a very loving and beautiful spirit. We are at a loss for words but please know that we are keeping the entire family in our prayers.